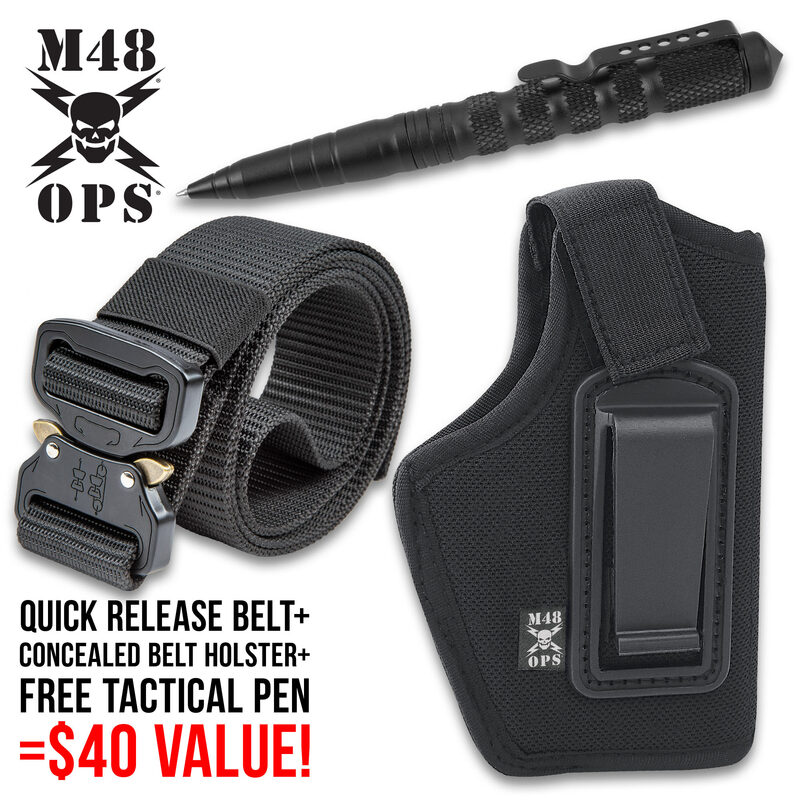 M48 EDC Concealed Carry Kit With Free Tactical Pen - Includes Belt Holster And Rigger’s Belt, Heavy-Duty Black Nylon Construction | BUDK.com - Knives & Swords At The Lowest Prices! In our M48 EDC Concealed Carry Kit, you are getting what you need to securely and discreetly carry your weapon. The M48 OPS Concealed Belt Holster fits compact and sub-compact pistols and the padded nylon craftsmanship won’t mar your gun’s finish. 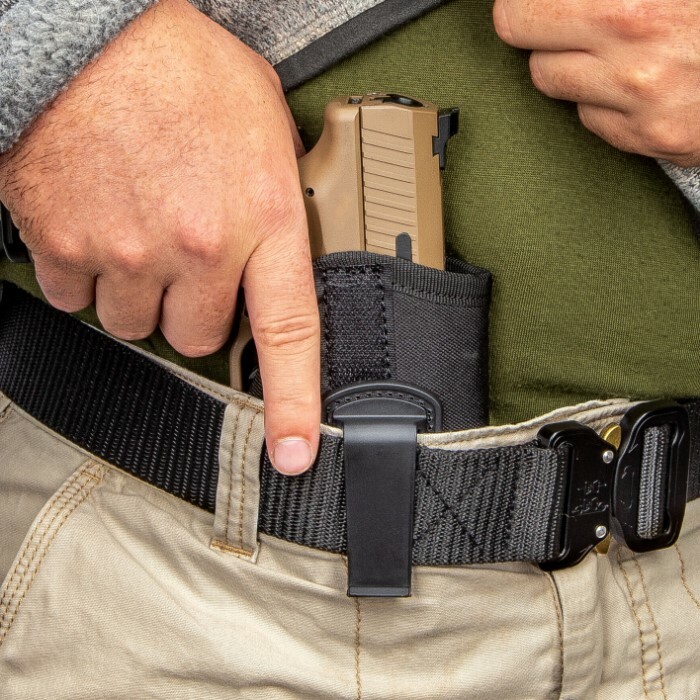 The front arch design is incorporated to allow you to easily draw and reholster quickly and the elastic thumb strap assures you of a proper fit and security. The versatile M48 Quick Release Rigger’s Belt is suitable for using with the concealed belt holster and for casual, everyday wear. It is made of comfortable but heavy-duty 1000D nylon webbing with a strong load-bearing, quick-release metal buckle. The 1 1/2” wide, 48” in length military-style rigger’s belt is fully adjustable for waist sizes 36” up to 44”. Having a glass breaker on hand in case of an emergency is an important way to make sure that you’re prepared for the worst and we are giving you one free with this kit! The Glass Breaker Rescue Pen is a tough, refillable ink pen made of ultra-heavy-duty aluminum. It has a metallic pocket clip for ease of carry and a textured slip-free grip. The pen features a glass breaker built right into the end of it.